All our burgers and sausages are handmade in-store by our skilled butchers; the steak burgers are made with fillet & sirloin steak whilst all the sausages are made with shoulder pork, fresh herbs & spices and salt & pepper. 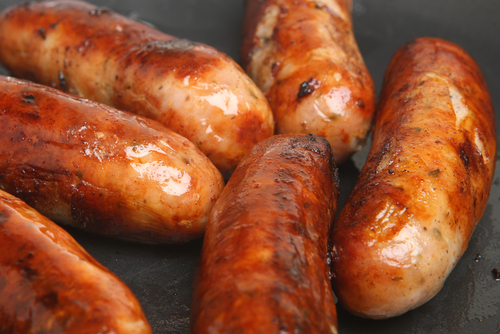 Unlike the supermarkets we can guarantee that the meat in our sausages & burgers really does go from the ‘farm to the fork’ . All our burgers & sausages are gluten free. TOP TIP: If you are partying late into the evening; why not start with the burgers and save the sausages until later when your guests are hungry again?